Not to be a Negative Nancy, but even if you’re not into heavy drugs like PCP, you still might want to educate yourself when it comes to drugs that contain Phencyclidine (PCP) and may cause false positive on a drug test. There are people who don’t know what PCP really is and what it does, if you find yourself to be one of them before we continue with our list, you may want to check our list of 7 angel dust drug effects and facts as well. Trust me, folks, it’s not a pleasant feeling at all to confidently take a drug test only to find out you’ve supposedly been partying with some drugs you’ve never even invited to the party. The drug tester sure as hell isn’t going to buy that dumb look on your face (because, at this point, he/she believes you to be high as a kite!) when you, the drug testee, go on to explain that there’s been some mistake and that you don’t do drugs, yet can’t come up with a logical explanation as to why said drugs are in your system. Not only is everything you are doing and saying all suddenly seeming so suspect to the drug tester, but that stupefied look on your face; the sweat on your brow; the complete and utter denial; every word coming out of your mouth—yeah, they’ve seen and heard that song and dance before and they are far from buying any part of it! Now, originally, on top of potentially causing false positives on drug tests, I was also hoping to present drugs that contain Phencyclidine (PCP) and may cause false positive on a drug test but quickly found that medications have not been laced with PCP for a number of years. When it was first introduced in 1960, phencyclidine was being marketed as an anesthetic. Doctors and surgeons alike could appreciate the fact that PCP appeared to be an adequate anesthetic that had no harmful effect on the patient’s heart and lungs. They couldn’t, however, ignore the more unfavorable effects the drug had on one’s body and mind. These effects include but are not limited to mental psychosis, hallucinations, oh!–and let’s not forget that feeling of impending doom! ‘Cause that sounds, ya know… awesome! Of course, PCP has a slew of other side-effects. These were just the three that caused the most concern. Eventually, the drug was discontinued for medicinal use in 1966 and in 1967 its use was limited to the veterinary field only, where it was heavily used as an animal tranquilizer. By then, PCP had made its way into the hands of many hippies and substance abusers who used it for its psychedelic effects. After the DEA (Drug Enforcement Administration) was established, PCP was soon dubbed one of the most dangerous abused substances and was made illegal in the U.S. in 1978. With that said, obviously, no over-the-counter or prescription drugs are going to contain any traces of phencyclidine. So, exposing any drugs that contain any amount of phencyclidine in them is out of the question. Unfortunately, this doesn’t mean that there aren’t still drugs out there that might cause that false positive for PCP on a drug screen. However, fortunately for you, I’m about to reveal to you the ones that will! 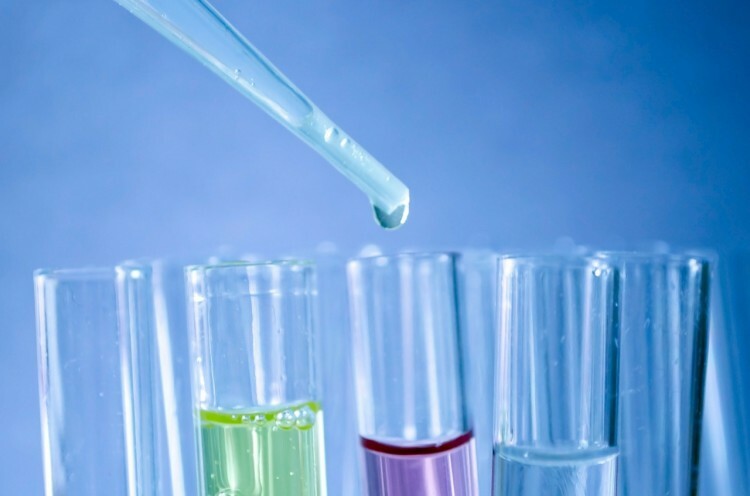 But before I do, let me briefly explain the different factors that went into determining the order in which the drugs that may cause a false positive for PCP on a drug test are ranked. As not to make it seem as though each drug listed has the same potential as the next in causing that false positive on a drug screen, some sort of grading system needed to come into play. I’m no doctor. Nor do I possess the tools to conduct a study, drug up guinea pigs and check out their pee. But, I do have the next best thing – the internet where I can take what the real medical professionals have to say and mash it with the studies of other medical professionals, cut out the bullcrap and present it to you. I did find some random over-the-counters and such that I only saw mentioned once, but couldn’t find any feasible information to back it up, nor did I find other medically related sites or specialists who concurred with these statements. As I quickly saw a pattern of the frequency of certain drugs mentioned from multiple sources, I concluded that they all knew what they were talking about and possibly had different experiences. After all, none of these drugs actually contain phencyclidine in them, therefore none of them are without a doubt going to make you fail a drug test if you have them in your system. There’s just the CHANCE that it will. On a side note, being the nerd that I am, I was getting curious as to the actual science behind false positives. Aside from some odd, but interesting findings on common things like granola bars and tonic water consumption leading to false positives, I simply found that drug tests just aren’t 100% accurate all of the time. Although uncommon, you could be like me—don’t take prescription drugs and even ignore common aches and pains without the relief of an over-the-counter, and STILL, fail a drug test for literally no reason at all. In addition to the prevalence of certain drugs on multiple sources, it occurred to me that some drugs you take to alleviate certain symptoms, while others are necessary on a daily basis. Obviously, the drugs one is prescribed and takes regularly have a higher chance of affecting a drug test than the pain medicine that got you through that headache from hell last week. With that, I realized some of the conditions that said drugs are prescribed for are more common than others. Hence, a drug prescribed for anxiety should beat out one prescribed for schizophrenia and so on. Also—lucky for me—I found a few studies that concluded some drugs are just having a higher level of failed drug test for PCP. Thus, helping me deduce the six drugs that contain Phencyclidine (PCP) and may cause false positive on a drug test.